Given the simplicity of setting up the Facebook Pixel coupled with the vast amount of user data that Facebook Analytics collects can make it tempting to place Google Analytics on the back burner. If you see result driven data within Facebook Analytics why spend the time for an elaborate Google Analytics Facebook integration? Not to mention the need for the tedious process of applying UTMs on an ongoing basis. Ok, I sort of(ish) have a point. I’ve seen the Facebook Ad Platform come a long way since the early days and continue to see it incrementally improve as it matures into a powerful and robust Ad Platform. In 2018 Facebook (this includes Instagram) is a substantial piece of any digital media campaign and as a result, with more media budgets allocated towards it. The question is how do I best track my Facebook Ad performance? The Facebook Pixel does a lot more then remarketing and capturing conversions. Given that Facebook has a ton of users (2 billion+) that it can identify across different devices makes it possible to provide valuable people based insights. Combine this with Facebook Pixel Analytics and its recent attribution release, which can provide additional data points to understand user journey and behavior, makes Facebook much more than just a platform for running ads. So why deal with all the trouble of blending Facebook data in Google Analytics? Why not just use the Facebook pixel and Facebook Analytics? It’s free! Yes its free and gives you a second place to collect all of your data. So for starters, you cannot lose. Worst-case scenario you walk away with a back up of all your data. Second relying on Facebook only to grade the effectiveness of their ads (also read as to how effective your spend is and why you should give them more dollars) creates no accountability. It is like the test taker grading their test. Third, Facebook Analytics although a very cool tool is limited in what it can provide in on-site behavior insights. Why would you want to stop tracking users once they get to your store? Fourth Facebook Analytics although able to provide some cross-channel insights is still primarily focused on Facebook. As a result, you have a limited 360-degree view of cross-channel performance. Lastly especially true with e-commerce, by solely relying on Facebook to track performance you loos valuable insights into product relationship performance. Understanding product relationships respective to sales can assist in improving upsells, cross-sells, product grouping and also get a good understanding of check out behavior. Note: This is not a step by step guide on implementation but rather an analysis of each platform’s strength and weaknesses and how they compliment each other. Let me know what you think in the comments. As a digital marketer, I always set up two tracking methods for the sake of accountability. As stated above I don’t want the test taker to grade the test. Tracking Facebook ads in more than one place is not about questioning the integrity of Facebook tracking methodologies (opinions run wild on this one). Rather taking into account attribution differences where Google Analytics or Facebook Analytics (spin it whichever way you want) provides an additional tool to understand advertising effectiveness better. I use Facebook for conversion tracking but Google Analytics to get a holistic understanding of on-site and cross-channel performance. Let’s take a look at the actual set up of each platform. The set up is where marketers (especially newbies) are quick to depend on Facebook given the more straightforward integration, the fact that Facebook has access to all of its people based data and can provide you with intuitive(ish) reporting. Tracking Facebook performance within Facebook is a more straightforward process. Once the Facebook pixel is implemented and event/conversions have been are created you are pretty much set. Since Facebook owns and has full access, to all campaign targeting and ad set data you won’t need to add any additional tracking or UTMs To measure performance. All of your platform metrics, as well as on-site actions (events), are in one place. To track the performance of Facebook Ads and collect granular campaign information such as Audience insights into Google Analytics you will need to make sure that every single one of your Facebook ads are tagged with respective UTMs, import cost data into Google Analytics and map custom parameters to custom dimensions to track non-standard parameter values i.e., utm_audience. Given the fragmented landscape and the limited view of last click attribution, it is imperative to understand both Facebook and Google Analytics Reporting methodologies so you can leverage each platform for the most useful actionable insights. Using the Facebook Pixel is excellent for understanding if and how a user converts. Specifically, the people based reporting capabilities and granular data that Facebook can provide. Take for example the overlap report where you can look at the device overlap for a given conversion. However to understand users on-site behavior and navigation you will have to create micro or soft conversion within Facebook as events. Then build funnels out of these in Facebook Ad Analytics to track user behavior through to conversion. Google Analytics captures user information based on cookies. Cookie-based tracking leaves a gap when it comes to cross-device reporting since you cannot track cookies across devices. However, Google Analytics does provide a User Explorer (you need to enable and set the User-ID feature in your property settings to use this) and Active User report. 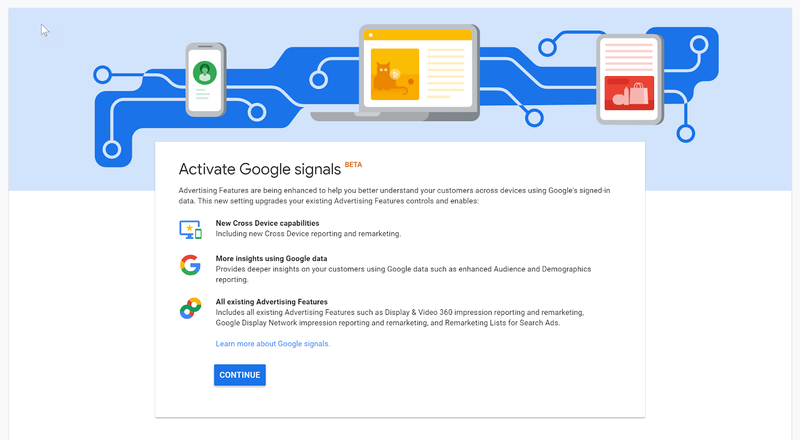 In addition, GA recently released cross-device capabilities still in beta called Google Signals in an attempt to solve the cross-device attribution dilemma. Google Analytics also provides multi-channel funnel and attribution reports that can provide super insightful and actionable cross-channel insights. Reporting methodologies directly crosses over into attribution. Attribution is the digital marketers biggest challenge. However, we do have access to tools that can provide valuable insights even if directional or inferred to help up better understand the customer journey through its path to purchase. I go more in-depth on attribution nuances and their differences in Facebook Pixel vs Google Analytics Conversions. Facebook allows you to adjust the attribution setting. By default, the setting is 28 days post click and 1-day post view. Measuring conversions using these definitions means that Facebook will attribute conversions to a customer that clicked on a Facebook Ad on day one, came back to the site from an organic search on day 7 and returned to the website from a display retargeting ad on day 14 and made a purchase. There is nothing wrong with this measurement approach since users are usually not ready to purchase at first touch but, how can you understand what happens in that 7, 14, or 28-day window without Google Analytics? Are they coming back to the site from a referral, organic, or other paid channel? Understanding this behavior can be extremely valuable in identifying what other channels are providing value in the marketing funnel. Now Google Analytics default attribution model is set to the last click. This means that it identifies the last channel a user came from before converting. However, Google also provides attribution reports and allows you to use preset models such as first click, last click, decay, linear or create custom attribution models to get a better understanding of channels/initiatives holistic impact. These, although not always based on deterministic data, can show great directional insight into how a user interacts with your site through different channels and at various stages of the funnel. With this information, you can cut back, or heavy up, on channels that are bringing users in at the top of the funnel and properly assists and close a sale by tactfully targeting direct response conversion channels. In Facebook Analytics you can build a Funnel Report off of predefined or custom events. The Facebook Funnel report is similar to how MixPanel works. 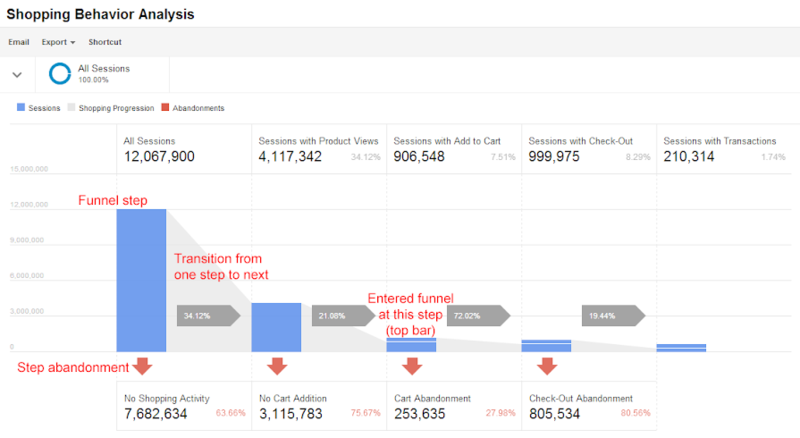 Setting up funnels is super helpful in tracking users steps in their purchase journey and can help you identify any bottlenecks. I do have to say that creating funnels is a lot easier in Facebook Analytics. 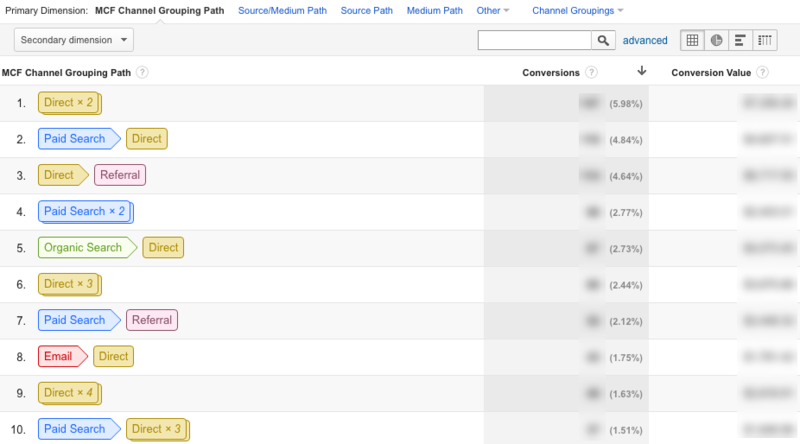 For a lead generation or non-e-commerce conversion (Goals), Google Analytics lets you build funnels based off of URLs. Unfortunately you cannot build funnels from events or goals unless you have the premium version. If you are using the free version of Google Analytics you can apply a workaround which consists of firing a virtual pageview for each step in the funnel so that you can then build event funnels in the funnel report. 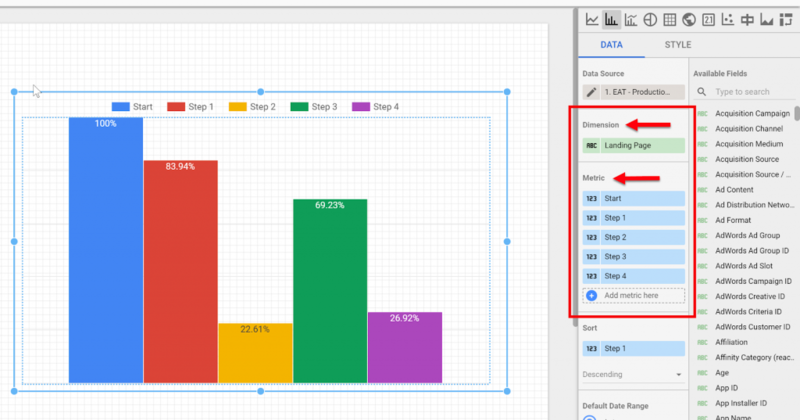 As an alternative, you can also build Goal Funnels in Data Studio to visually map your funnel. As a third and preferred option, you can track non-e-commerce funnels in Google Analytics E-commerce Reports. To do this you can leverage Enhanced E-commerce Tracking by sending event values to e-commerce objects which in turn makes these available in Google Analytics E-commerce Reports under check out behavior. For an e-commerce site enabling and implementing enhanced e-commerce and utilizing this report is a no-brainer. Facebook can provide a deeper level of granularity on audience performance. Although, most of the performance data is tied to your Facebook ads limiting how you can apply this information to other channels. Google Analytics does provide audience insights under Audience reporting where you can access demographic, interest, behavior, and location data. To capture Facebook Audience data you can append custom audience values as UTM parameters to each ad. Then map this to custom dimensions in Google Analytics. Using custom dimensions enables you to collect detailed audience insights (defined in Facebook) within Google Analytics for data analysis. Facebook allows you (as mentioned above) to build funnels. However, their e-commerce reports are not anywhere as comprehensive as Google Analytics. Especially when it comes to understanding views and performance of upsells and crosses across product and category pages. For SaaS or subscription models you can leverage, similar to Google Analytics, cohort and Lifetime value reports. Facebook Analytics does pull in data about other traffic sources, but I have not seen this to be as robust as in Google Analytics. Google Analytics Allows you to track e-commerce transactions and product details and attribute revenue directly to various ads/channels. Aside from the funnel report mentioned above Enhanced e-commerce within Google Analytics also provides many more actionable reports such as Shopping Behavior Analysis, Checkout Behavior Analysis, Product Performance, Sales Performance, Product List Performance, and Internal Promotion. What people don’t realize is that conversion rate is not the driving factor, revenue is. So understanding the relationship of products especially to up and cross-sells is invaluable. At this point, I don’t believe Facebook Analytics is anywhere close to taking on Google Analytics. However, I do think that Facebook Analytics gives us access to many powerful insights that can be leveraged to improve campaigns. Maximizing Google Analytics by pullings in granular UTMs that identify campaign, audience, targeting, ad content and more from your Facebook campaigns lets you surgically pinpoint what factors are driving success. This can provide a super insightful cross-channel and holistic look into the effectiveness of your initiatives. I use Facebook Analytics to gather further people based conversion insights. Deriving actionable insights for Facebook Ads as well as other channels to define hypotheses that I can test into. Do you use just Google Analytics, Facebook Analytics or both? Let me know in the comments.